These new ALLroundWork Jackets are just what the name suggests. 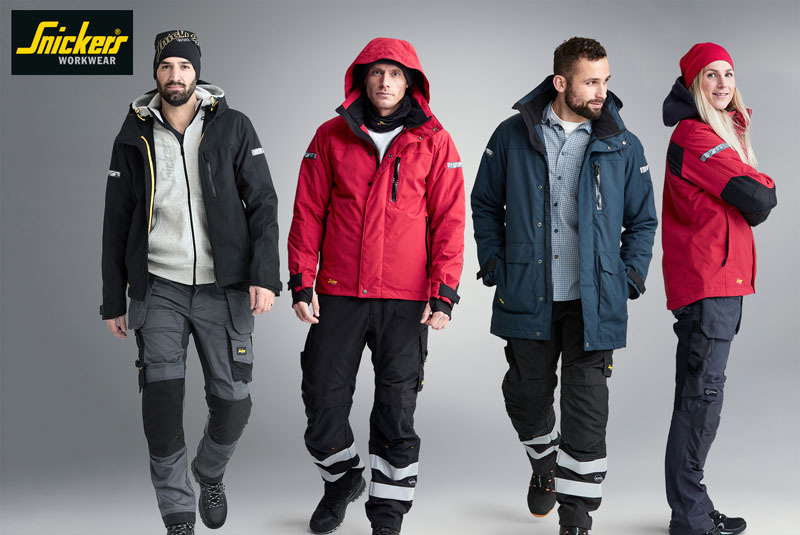 There’s a selection of lightweight 37.5 Jackets, Windproof Shell Jackets, Hi-Vis and Waterproof Jackets, plus Parkas that all have the features and functionality that you’d expect in Snickers working clothes. They’re great looking garments that are said to keep you looking and feeling comfy wherever you are and whatever you’re doing while at work in cold weather. With, contemporary designs, the company’s ALLroundWork garments are well-known for their contemporary designs packed with features that focus on fit, comfort and freedom of movement, as well as using fabrics that deliver long lasting protection.